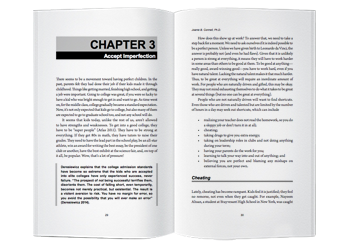 "This book was written for you - whether you are a manager, a young adult new to the business world, or a parent of that young adult. Joanie zooms in on this timely topic." 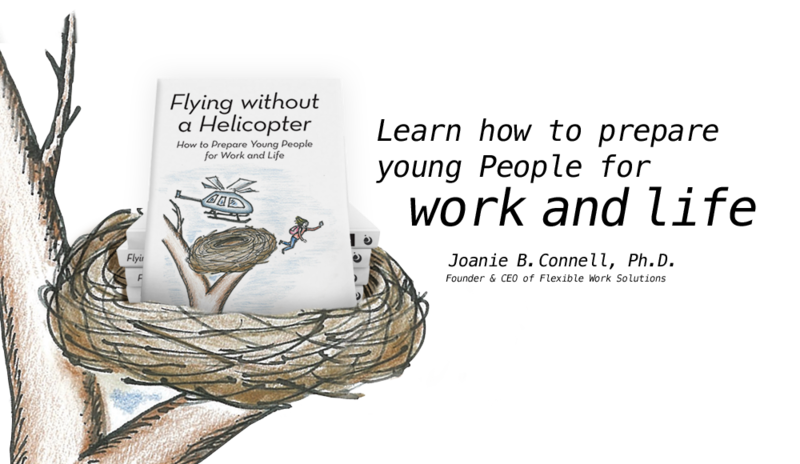 Flying Without a Helicopter teaches readers what it takes to be successful in the workplace and how to get there. It is about parenting, educating, and managing to help young adults build skills to succeed in an increasingly competitive world. 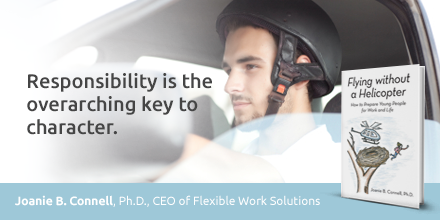 It advises parents, educators, and managers, as well as young adults, on what is important to help produce healthy, independent, self-reliant employees who will thrive on their own. The advice in this book is based on decades of experience in working and consulting with employees, managers, and executives in the business world. 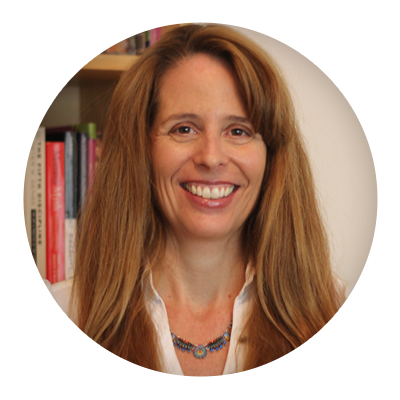 Joanie Connell’s expertise on what it takes to make it in the real world of work has been accumulated over 20 years of experience in the workplace and over a decade of research in academic literature and the media. 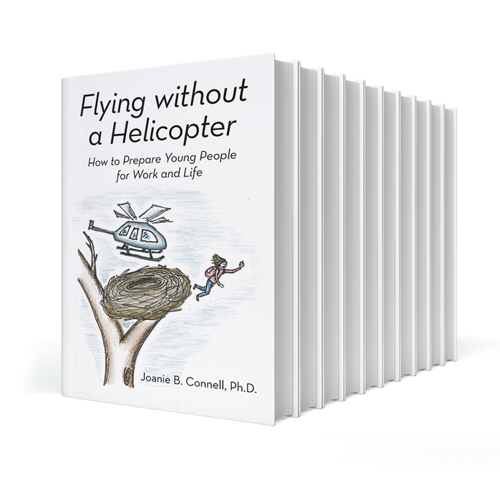 "I recommend Flying Without A Helicopter to people who want to develop the life skills needed to succeed in the corporate world (and their parents) and to leaders who want their companies to succeed." 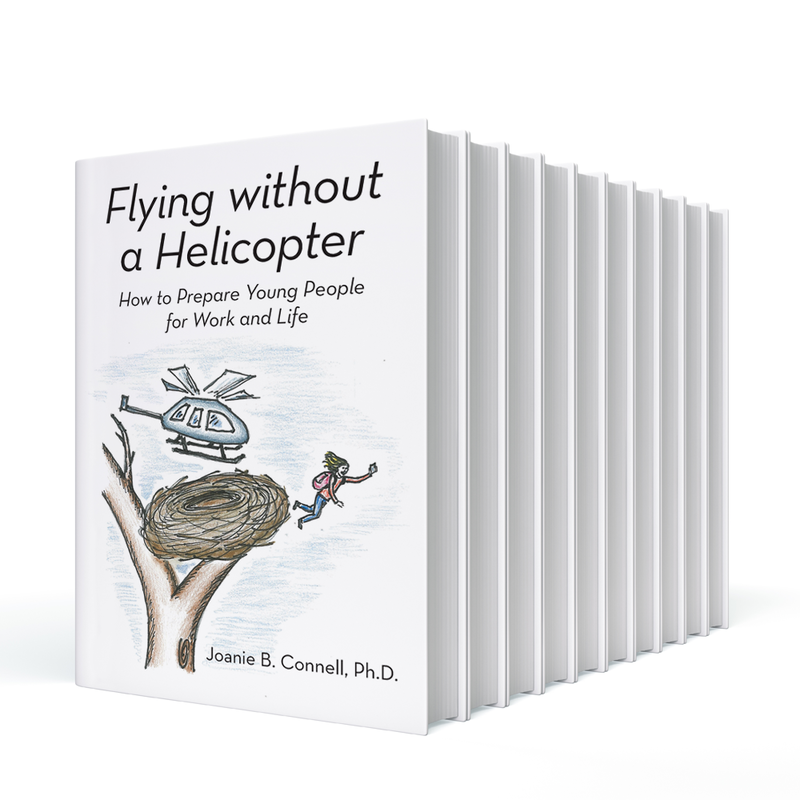 "To understand differences across generations and leverage the creativity within, you could do no better than to read Connell’s Flying without a Helicopter! 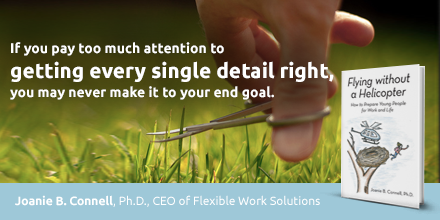 A wise read for leaders as well as employees, job seekers, and even parents!" 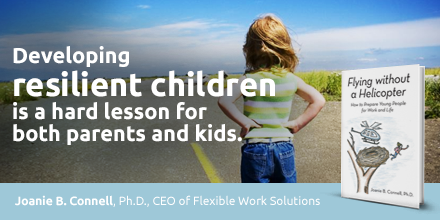 "We all want children who are resilient, happy and successful in their lives, doing what they are fulfilled in doing. And, many parents only really learned how to parent by what was done to them by their parents. Some of that worked - some of it did not. This resource will open eyes and equip parents with skills to ‘change their parenting game’ into a more effective approach with the dear people who mean the most to them - their kids." 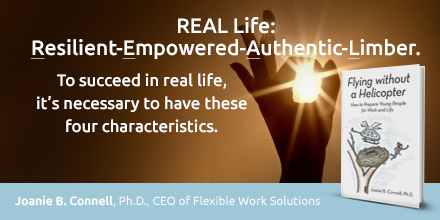 "This work is a must read not only for leaders and managers but also for parents and educators who can work together to create balanced individuals who value understanding, collaboration ,and depth and aren’t pressured into taking shortcuts to achieve illusory perfection." 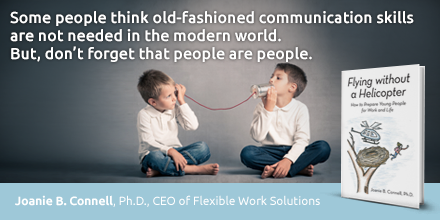 "Assumptions and stereotypes about younger workers abound. 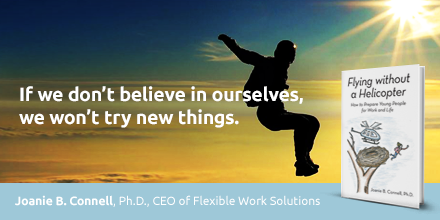 They become one more hurdle for younger workers to jump as they strive to succeed at work. 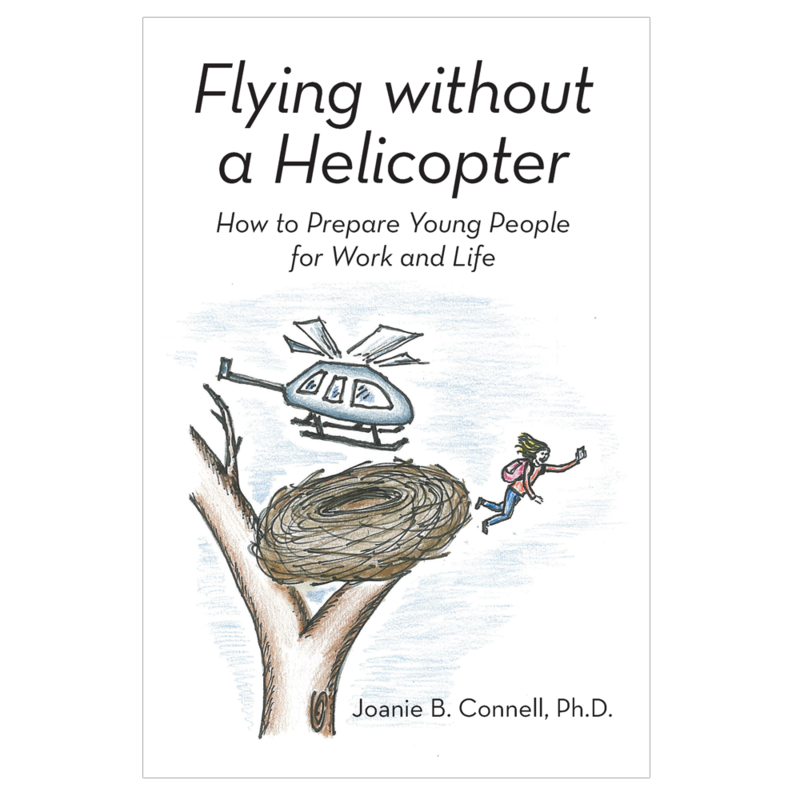 Joanie Connell’s book Flying Without a Helicopter helps parents, educators, and managers cut through the myths and labels young people have today and gives practical tips to help them succeed at work." 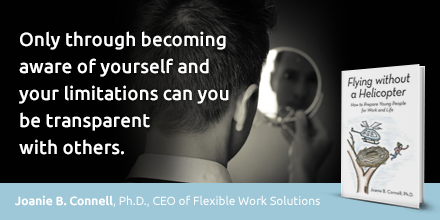 Joanie B. Connell, Ph.D., is a talent management expert and career coach for people across job levels, ages, and industries. 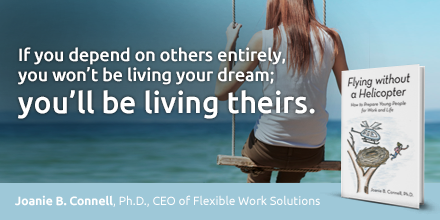 She works with companies to attract, develop, and retain top talent and she works with individuals to improve their success and happiness in their careers. She has advanced degrees in psychology from UC Berkeley and a bachelor’s degree in engineering from Harvard. 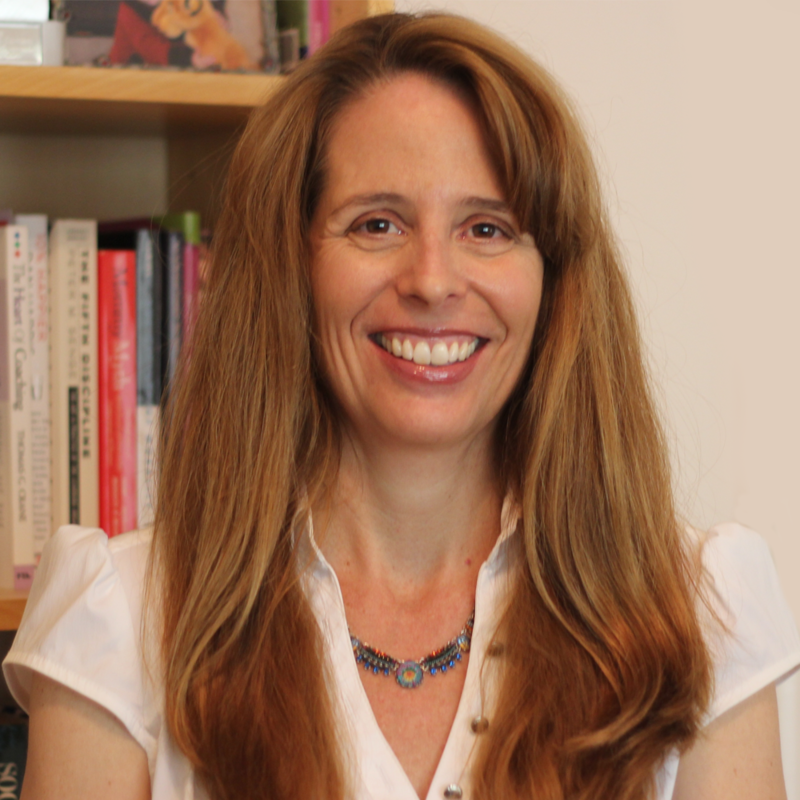 As a professor, she has taught business and psychology students at the University of California San Diego, Alliant International University, and National University. Her clients are from Fortune 100 companies, not-for-profit, government agencies, high tech, biotech, healthcare, finance, legal, and other industries. She draws inspiration from her daughter and support from her husband in San Diego, California. 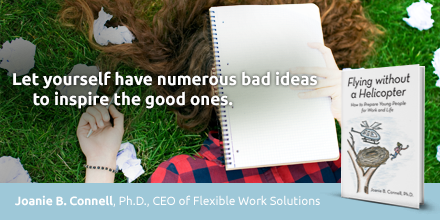 Joanie B. Connell, Ph.D., asks the questions that others are too afraid to ask and makes connections others are too bogged down to notice. 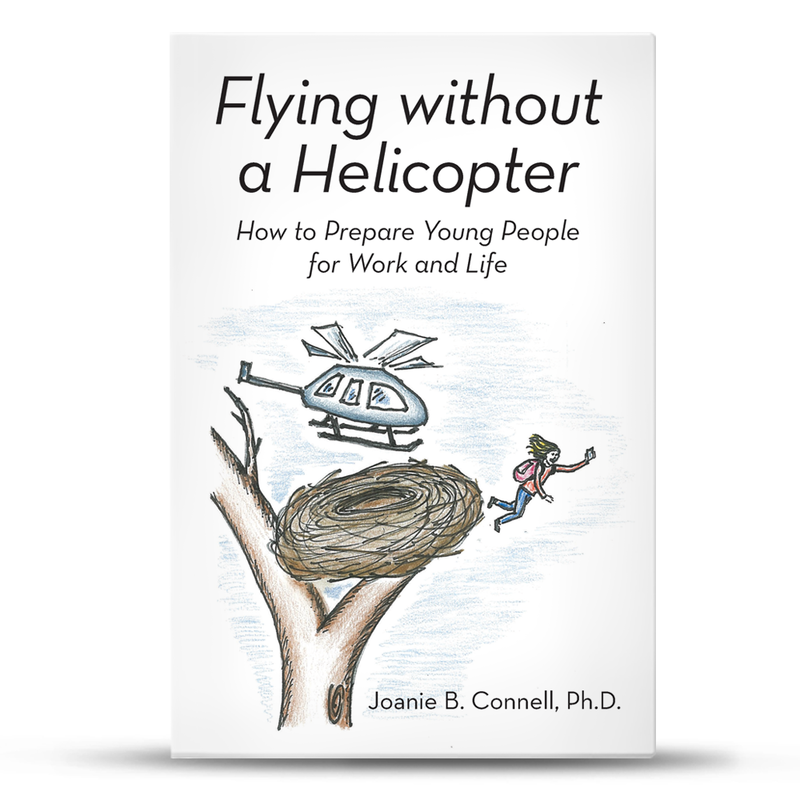 Flying Without A Helicopter shows how parents, educators, and managers can help young people excel in the workplace. 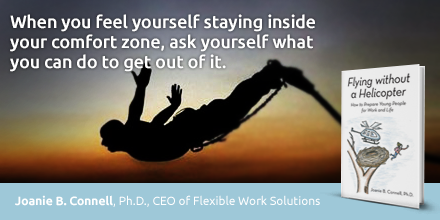 Joanie Connell will conduct a free webinar for your team or group. 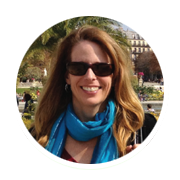 You can enjoy a free 30-minute phone call or video conference with Joanie, tailored to your agenda. You will receive a free 1-hour keynote address or 2-hour workshop for your organization or group (Joanie’s travel expenses additional).